This unique service will fill the need of organizations of all sizes that want to expand their capability beyond typical preventative technologies and augment their detection, response and 24×7 monitoring gaps without investing in internal security expertise. Our MDR service, set up in hours without installing specialized software or hardware, offers unparalleled threat detection, user & entity behavior analytics, network analytics, forensics, deception, as well as 24/7 real-time monitoring and alerting. 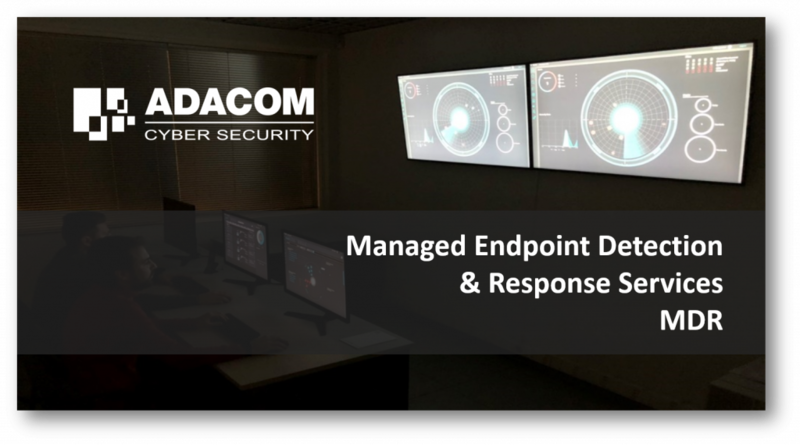 ADACOM is offering the MDR Service through its own Security Operations Center, which is certified and accredited by ISO/IEC 27001:2013, NATO/EU Secret and eIDAS.